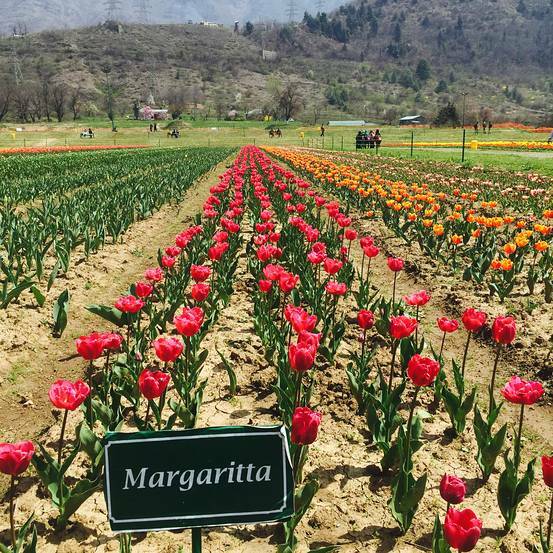 Near the shores of Dal Lake and in the heart of paradise of Kashmir, lies the Indira Gandhi Memorial Tulip garden previously named as Model Floriculture Centre which is the largest Tulip garden of Asia spreading over an area of about 12 hectares. It is situated on the foothills of Zabarwan Range with an overview of picturesque world famous Dal lake. 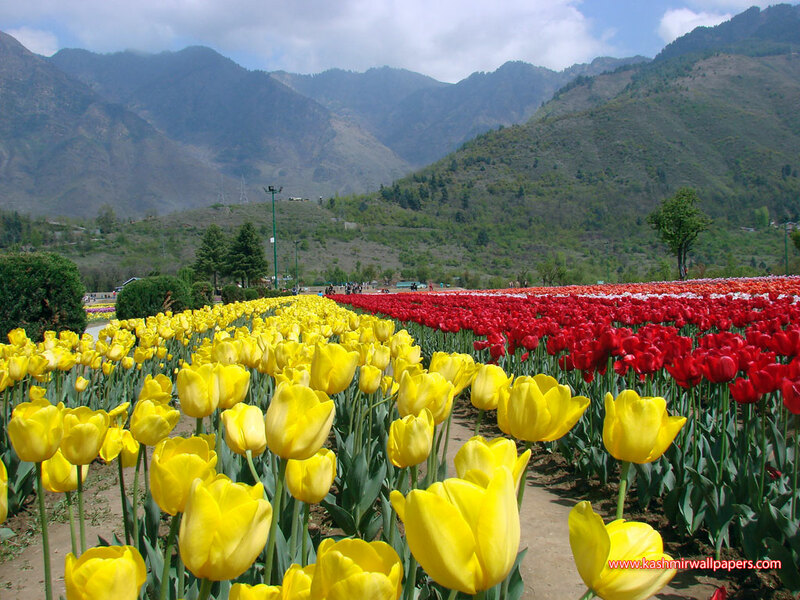 This garden was conceived, conceptualized and created by Ghulam Nabi Azad, former Chief Minister, of Jammu and Kashmir in the year 2006-07 with the aim to boost floriculture and advance tourism in Kashmir valley. 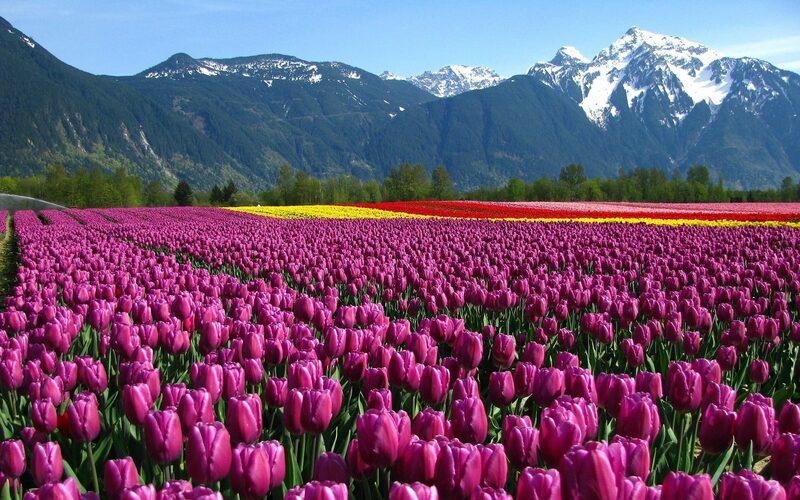 Two million tulips adorn and add color to 20 acres of the Kashmiri Landscape at 5600 feet altitude in Asia’s largest Tulip Garden – the Indira Gandhi Memorial Tulip Garden. 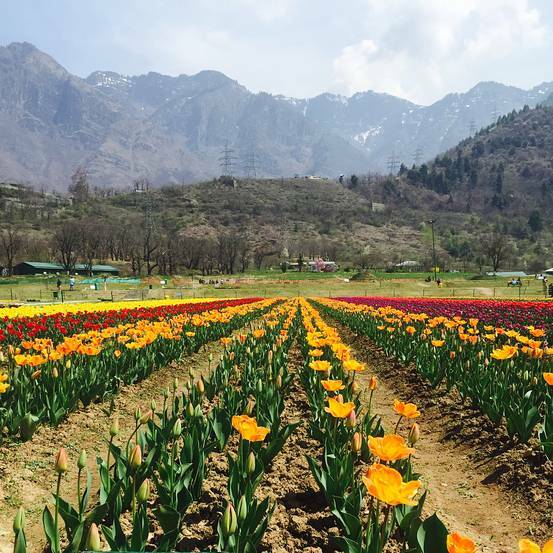 A delightful sight – the flowerbed sprawls all over the foothills of the towering Zabarwan Mountain Range, and overlooks the beautiful and the world famous Dal lake in Srinagar – the Capital of Jammu and Kashmir State of India. 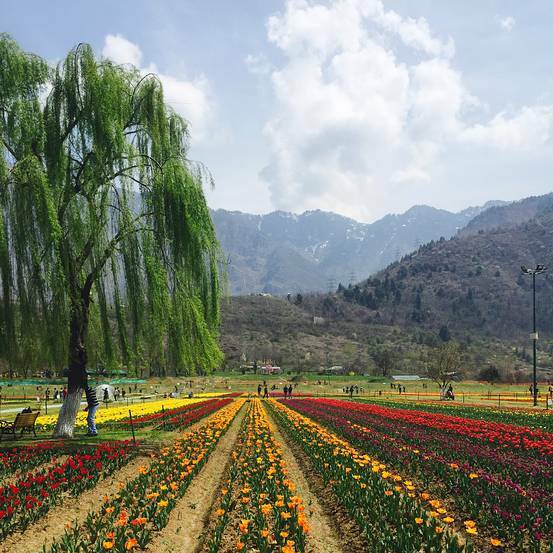 Located at 34.964N, 74.8791E, the Tulip Garden is surrounded on three sides by the Nishat Bagh, Chasma Shahi and Mughal Gardens of Srinagar. In the Adventure segment, boat racing, kayaking etc is on display at Dal Lake/NigeenLake with handicraft exhibition organized at SKICC. 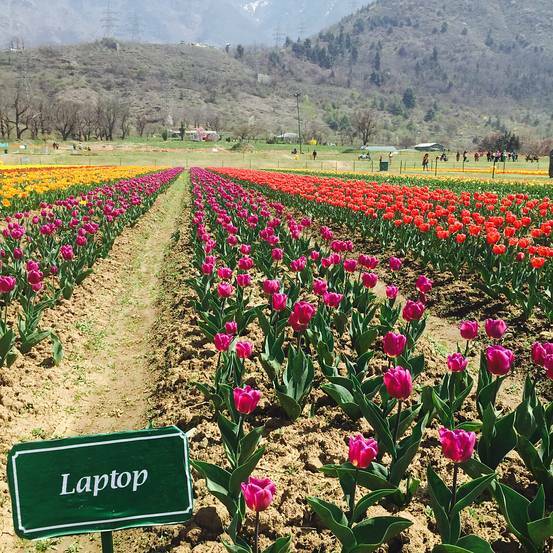 When it was opened on the first day, over 2,800 people came through the garden’s gates according to Sunil Misri, who heads Jammu and Kashmir’s horticulture department. Eminent Bollywood personalities who have contributed to tourism promotion have been felicitated at Tulip Garden. Many prominent Bollywood movies have also been shot here. 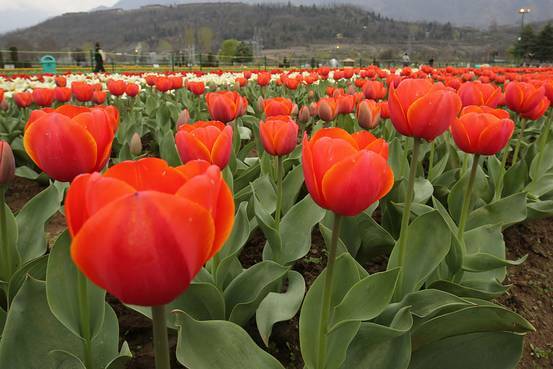 Tourism Department organizes Spring Festival every year at various venues in the Srinagar City – Tulip Garden, Dachigam National Park, Sher-i-Kashmir International Convention Centre (SKICC), Royal Springs Golf Course and Zabarwan Park. 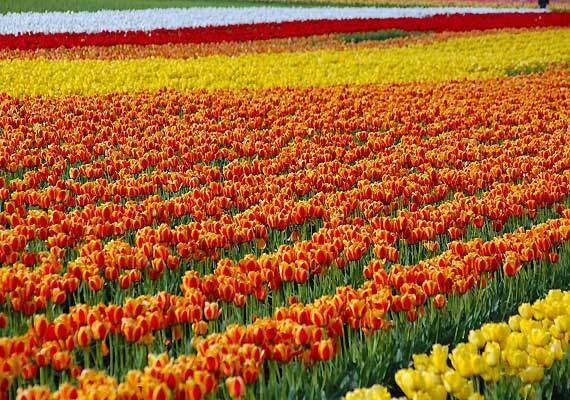 This is the only time when this tulip garden is opened for general public with vivid and colorful varieties of tulips. This is the perfect time to visit this heaven that will provide you with nonetheless a charismatic experience to cherish for life. 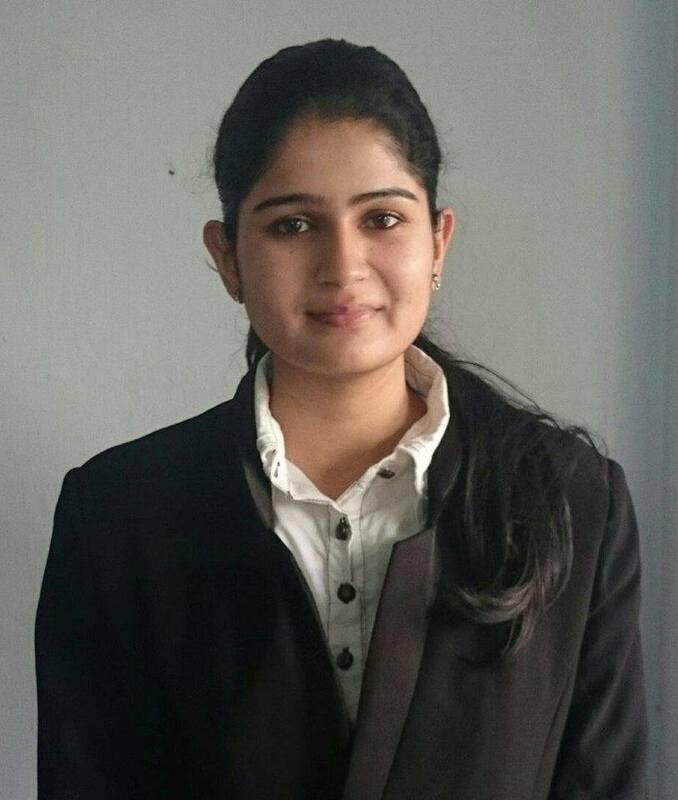 Urvi Sharma is an Assistant Editor at Agrasar Foundation. Hailing from City of Temples, Jammu; Urvi is an ardent traveller who has the knack of putting her travels and experiences in words. She has visited a whole variety of places ranging from Kerala to Jaipur to Delhi to Mumbai to Goa to Nasik to Hyderabad to Bangalore to Tamilnadu to Kolkata to Amritsar to Leh to Manali to Dharamshala to Kargil to Srinagar to Dehradun to Kanpur.